Celebrating McCarthy’s Selection with a Goodreads Giveaway! Poet Michael McCarthy’s work “The Strange People in Long Beach,” from his Goldfinch title The Ways of Grace, has been selected for inclusion in the 2017 edition of the Suffolk County Poetry Review. Way to go, Michael! To celebrate, we’re running a Goodreads Giveaway of the title until the end of March. Enter to win one of five signed paperback copies! 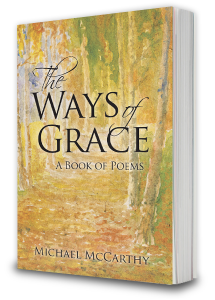 Michael McCarthy is, in his words, “a lifelong explorer of the sacred.” Through a deepening poetic lens, he seeks beauty in the commonplace. The ordinary is truly extraordinary. 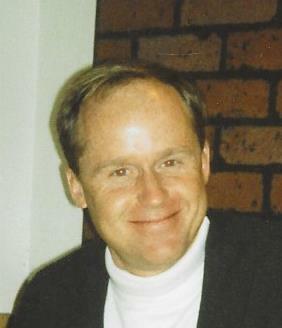 Michael, a husband, father, and high school teacher of religion, lives on Long Island in New York. He has degrees in theology and psychology. From the loss of love, to a single, yellow flower screaming out to be seen, to the deepness of a tree's roots, Michael McCarthy's poetry challenges us to take time to notice the beauty, pain, immensity, and love in the very small moments of our lives. Read this collection of poems and you will want to notice more.